I am so excited to announce that Every Star Is Different has been nominated for the Liebster Award! What is that exactly? It's an award that's all about love for new and upcoming blogs. Most importantly, and most flattering, I was nominated by one of my readers! Thank you Laura! I am so honored to accept. Laura's blog has some fabulous hands-on activities for preschoolers. Her posts have so much detail. The ideas are great! If you haven't visited My Bright Firefly yet, please do! 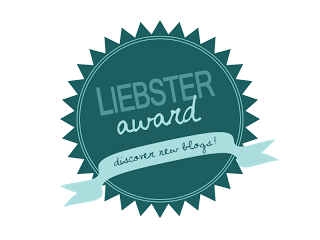 When accepting the Liebster Award, I'm asked to link back to the nominating blog, nominate at least 5 other new and upcoming blogs, share eleven random facts about myself, answer 11 questions Laura has prepared for me, create 11 questions for my nominees to answer, and contact my nominees to congratulate them and let them know they've been nominated. 1. I obtained a boater's license and my first boat at age 11. 2. My passion for computers and Microsoft Publisher (where I make all of my printables) started in 7th grade when I was nominated to be editor and chief of our middle school newspaper and taught by my technology teacher, Mr. Freitag, my mentor for years afterward. 3. While in middle school, my family ran an ice business. Each night, after dinner, during the Spring, Summer, and Fall, I would head to the ice house to help my dad bag blocks and bars of ice. We'd then bale 60 lb. bags of cubes, and stack them in the freezer. 4. In high school, I was president of my class, president of our student council, and took AP courses. Yes, I was that type of girl. 5. In my ninth grade year of high school, a classmate committed suicide in an effort to escape bullying. As president of the class at the time, I was asked by my principal, to write a letter of condolence to the classmate's parents and hand deliver it to them, in their home, along with the American flag from the school, they'd requested, before the funeral. I don't think I'll ever forget that experience. 6. My high school class was known as the "Cursed Class of 2000." Each year of our high school career classmates died. Three of them died in car accidents. Two of them died in car accidents in the same location. The last to die was a surviving passenger of the second car accident just a month or two before. The first to die in a car accident was one of my dearest friends. 7. At 19, my best friend and I hitch hiked while in Las Vegas, Nevada. This is one of those "What was I thinking?" memories, but still a fun one. 8. While in college, I worked at a funeral home helping with removals, visitations/calling hours, funerals and more. I LOVED this experience! 10. My husband and I eloped. 11. I am addicted to popcorn. 1. What one word sums up the heart of your blog and why? Success. My blog is documentation of all that I've taught my children. When I look at each post and picture, I see my kiddos being successful in their learning. The activities I create are specifically for them, to help them grow, learn, and develop into the most successful people they can be. 2. 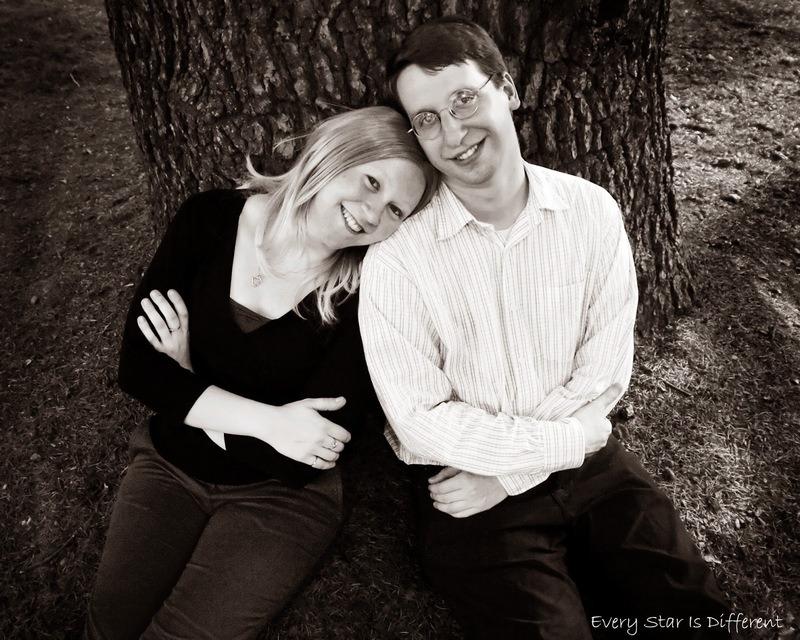 What is the story behind your blog's name? Every Star Is Different is the name of one of my favorite children's songs. The words were written by John C. Cameron. The music was written by K. Newell Dayley. The piece was arranged by K. Newell Dayley. I couldn't think of a better name for the documentation of my four very different shining stars. When I started blogging, I did not anticipate others following my units and activities. When I realized that my blog was becoming popular, and decided to make it a professional endeavor, I was able to contact the correct people and obtain permission to keep the name. If you'd like to listen to the song, click HERE. 3. What post have you written are you most proud of? It may sound silly, I'm most proud of my Free Printables page. The post took months to put together, as I had to go back and create collages, and update printable links for every unit I'd done with the kiddos. When it was finished, I had a page that included every single unit I'd ever put together. It was amazing to see all I had created and taught. Looking at the pictures while making collages, brought back so many enjoyable memories I have with my children. 4. What is your favorite aspect of blogging? I love connecting with people from all over the world. In my eyes it helps make the world a better place, where we're all working towards the same goals, share the same love, and want what's best for each other. After all, this is how I started working with Anastasia from Montessori Nature. Who would have thought I'd have a partner, who lives on a completely different continent? I can't imagine life without her now. 5. What is your favorite way to treat yourself? On Friday nights, I take time to myself, and watch the newest episodes of my favorite shows, Parenthood and Grey's Anatomy. More often than not, I'm eating popcorn too. 6. What do you like most about the area you live at? There are two things I absolutely love about where we live. One, we are blessed to have amazing doctors and specialists for our kiddos all within an hour radius of our home. I don't know what we'd do without them. Second, behind our home is the most beautiful and well cared for cemetery. Some may think that it's freaky to live so close to a cemetery. Others may joke about our quiet neighbors, but I LOVE having the cemetery so close. The kiddos and I take walks there almost daily. There is so much history there. And on a personal note, I find cemeteries to be such spiritual places. 7. Your dream vacation, mountain hideaway or a beach house? I would prefer a mountain hideaway any day. Such a hard question... As much as I LOVE to read, the only time I get a chance to read much of anything is when I'm in the bathroom. Lol. Since my kiddos have been born, this is pretty much limited to magazine articles, as they're short and quick. But other than that, I'd have to say my scriptures are my all time favorite books. They're the only books I've read more than a few times, and make time to read and study on a daily basis. Neither. I'm a hot apple cider kind of girl. Definitely a night owl and always have been. 11. Which project or idea on my blog would you be most likely to try yourself? I'm all about fine motor and sensory activities. I love the picture of your Halloween Fine Motor Activities, and also your Halloween Sensory Bin Round Up. Thank you again to Laura for nominating me for this award. I'll be nominating five other new and upcoming blogs and asking them 11 questions I've prepared. 2. What are some of your favorite blogs to read and follow? 3. What do you listen to when you're blogging? 4. What's the story behind your blog name? 5. What do you do to take care of yourself on a regular basis? 6. 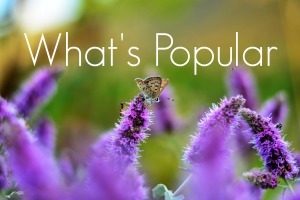 What do you like to do in your spare time (besides blogging)? 8. What have you done today to show someone you love them? 9. Who inspires you to be the best person you can be? 11. What makes blogging worth it? More details about the nominees coming soon!